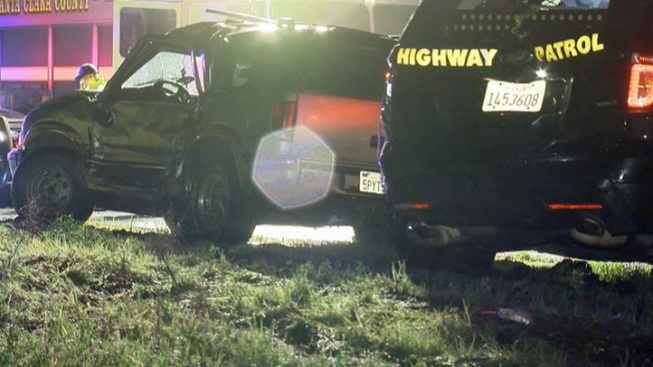 Police are investigating a crash late Monday on Interstate 280 in the Los Altos Hills that left a driver dead and a California Highway Patrol officer injured. CHP officials said an officer responded at 6:50 p.m. to reports of a car stuck in the mud on southbound I-280, near El Monte. A separate vehicle struck the CHP car while it on the side of the roadway, police said. The driver of the SUV that struck the CHP vehicle was transported to Stanford Hospital, where they later died, police said. The CHP officer was transported to the hospital with minor injuries.